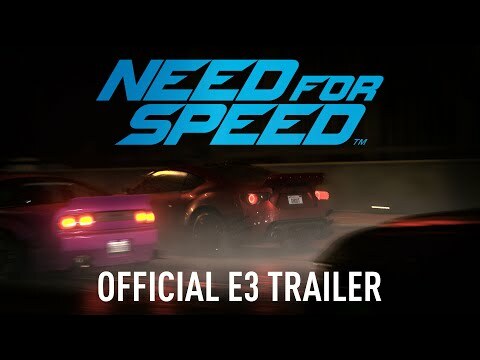 Confira as musicas do mais novo Need for Speed. Ouça todas as músicas em primeira mão. Aero Chord - "Break Them feat. Anna Yvette"
Alison Wonderland - "U Don't Know (feat. Wayne Coyne)"
Botnek - "Here It Comes (N4S Mix)"
Botnek & 3LAU - "Vikings"
Clement Marfo & The Frontline - "Get Rowdy"
Congorock & Daddy's Groove - "Black Sun"
CP feat. Danny Cainco - "Don't Stop"
Dirty South - "The Unknown feat. FMLYBND"
Django Django - "Shake And Tremble"
Drenge - "We Can Do What We Want"
Fehrplay - "Pyara (Live Edit)"
Flosstradamus - "Don't Trip feat. Run The Jewels & Sizzy Rocket"
Genetikk - "Wünsch Dir Was"
GoMad! & Monster feat. Matt Rose - "Under Control"
GotSome - "Vibe Out feat. Wiley"
Hook N Sling - "Break Yourself feat. Far East Movement"
Hudson Mohawke - "Brand New World"
iSHi feat. Pusha T - "Push It"
Joywave - "Destruction (KOPPS Remix)"
June Miller - "Stormtrooper feat. Virus Syndicate"
Kill The Noise - "Lose Ya Love"
Lokate - "Flow (feat. Doctor & Bay C)"
Louis Berry - "25 Reasons"
Lynx - "Into The Light"
Major Lazer - "Night Riders feat. Travis Scott, 2 Chainz, Pusha T & Mad Cobra"
Michael Woods feat. Sam Obernik - "Get Around (Roni Size Remix)"
RiFF RAFF - "Kokayne (Video Games Clean Version)"
Run The Jewels - "Blockbuster Night Pt. 1"
Speaker Of The House - "Modern Slang"
Swim Deep - "Fueiho Boogie"
The Glitch Mob - "Better Hide, Better Run (feat. Mark Johns)"
The One And Only PPL MVR - "Let's Take This Outside"
The Prodigy - "Nasty (Spor Remix)"
The Strypes - "Get Into It"
Trentemøller - "Silver Surfer, Ghost Rider Go!!!" Tropkillaz - "Make The Crowd (NFS VIP Remix)"
Vaults - "Lifespan (Spor Remix)"
Wolfgang Gartner - "Turn Up Feat. Wiley & Trina"
Zeds Dead - "Blink feat. Perry Farrell"